Stop Time for Red Coins is the sixth mission of Tick Tock Clock in Super Mario 64 and Super Mario 64 DS. As the name of the mission implies, the clockworks need to be stopped in order to complete it. Near the player's starting position are several green platforms scaling up the wall. If the clockworks are moving, these platforms would be spinning, making it difficult to collect the Red Coins between the platforms. 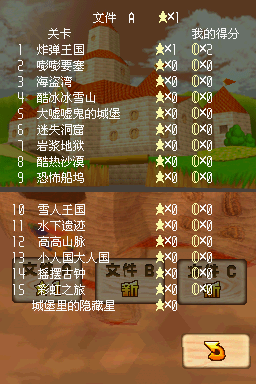 Once all the Red Coins are collected, the Power Star will appear over the Star Marker. In the original game, the Power Star is placed much higher than usual so it is in line with a platform. In the DS version, some of the platforms are placed differently and the Power Star is placed normally over the Star Marker. This page was last edited on September 21, 2018, at 13:31.